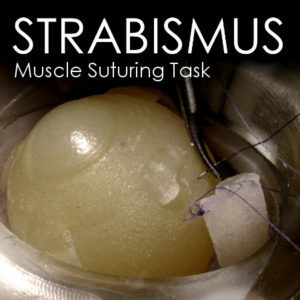 The STRABISMUS model is ideal to demonstrate, practice and perfect the surgical sequence and instrument handling of strabismus surgery. Learning to efficiently isolate muscles, create adjustable sutures, and secure permanent knots are fundamental skills for a pediatric ophthalmologist. Use with FLEX-ORBIT holder for best results.